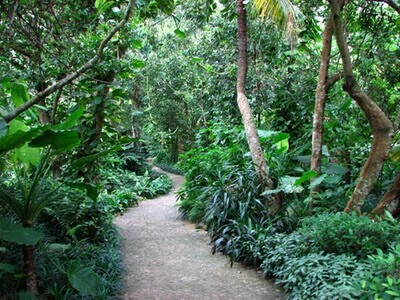 Hainan Island lies in the tropical climate zone, Xinglong Tropical Botanical Garden which is located in Wuning City of Hainan Island can be a good place to get touch with this exotic experience. It was built in 1957 and covers an area of 0.4 square kilometers. It possesses more than 1200 plant species such as coffee, pepper, cocoa, and dragon trees. Xinglong Tropical Botanical Garden is regarded as a hot destination and furthermore dedicated to issues related to botany and environmental protection in cooperation with agricultural authorities in China. 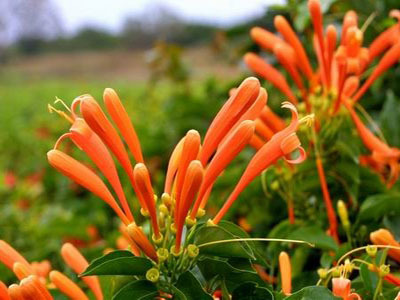 Featuring tropical monsoon climate all year round, Xinglong Tropical Botanical Garden is suitable for tourism and thus evaluated as AAAA-class tourism spot and model of agricultural tourism. The garden is developed and managed by the Tropical Spice and Beverage Crops Research Institute of China Institute of Tropical Agriculture. Featuring all sorts of plants, including coffee, pepper, cocoa, durians, mangosteen, Antiaris Toxicaria, Xinglong Tropical Botanical Garden domesticates tropical plants around the world and thus embodies a harmonious picture with plants. Besides, a canteen is accessible to provide visitors many sorts of beverages produced by the Garden itself. 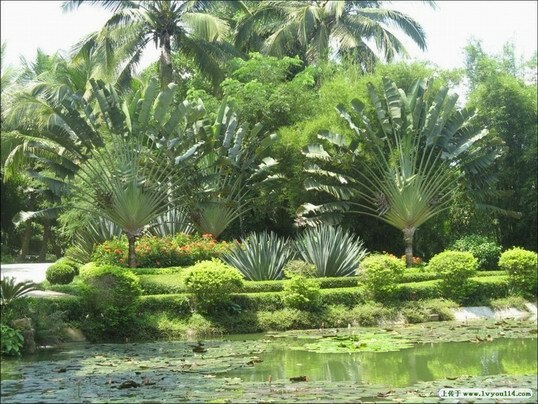 Xinglong Tropical Botanical Garden is nearly perfect for plants to grow; now the botanic garden does not o­nly play the role of an important agricultural base, but also a famous tourism resort. It really deserves the name of "tropical plants encyclopedia". It is o­ne of the most popular tourists attractions o­n Hainan Island.